This is a sponsored conversation written by me on behalf of goodnessknows. The opinions and text are all mine. I am a yoga lover. I have been for a while and I have been trying a lot of different poses this year to find the ways to really make yoga work for me so I am really excited that my partnership with goodnessKNOWS includes sharing details about their first Facebook live event for International Yoga Day. Tune in today, June 21st, at 3pm ET for yoga and snacking recipe demos from the experts! Fill your prefer serving dish with the yogurt. 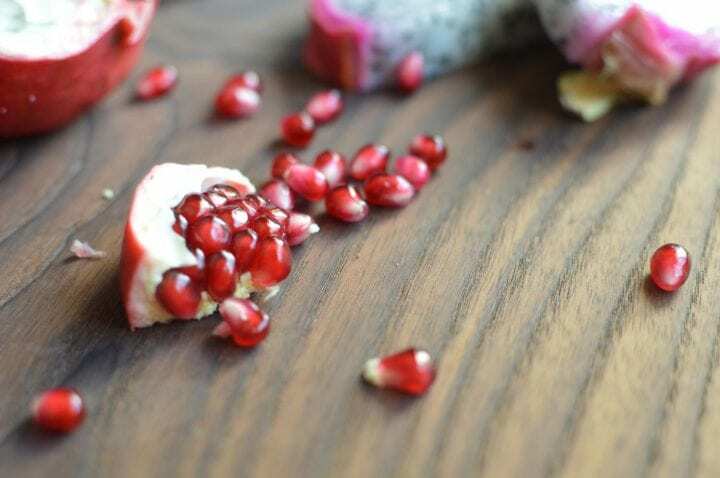 Carefully remove the pomegranate seeds so they do not burst, rinse if needed and pat dry then layer onto the yogurt in a line. Slice the dragon fruit into small chunks and lay across the middle of the dish. Fill the remaining area with the ripe avocado. 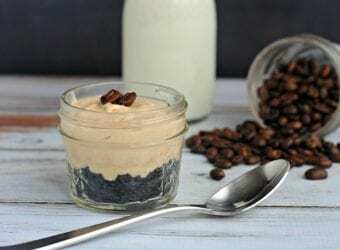 This is fantastic when enjoyed right away or will sit nicely overnight so you may grab and go in the morning or surprise someone special in the morning with the tasty energy boost. 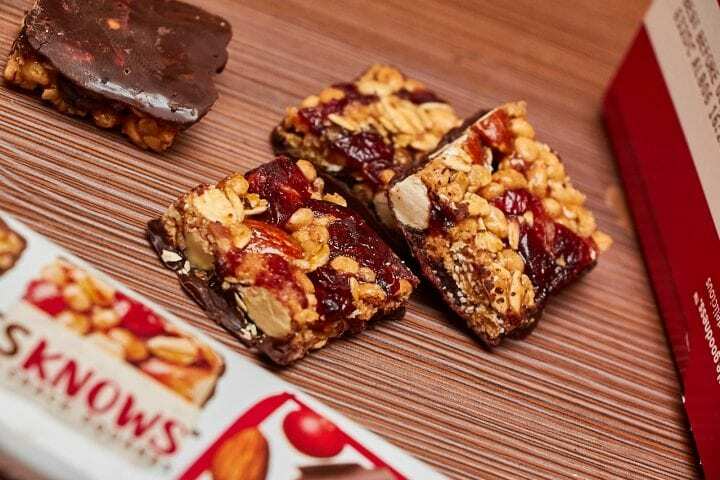 I just love goodnessKNOWS snack squares. In fact, that recipe above was inspired by my favorite flavor of goodnessKNOWS snack bars: blueberry & almond. This snack bar is insanely good. 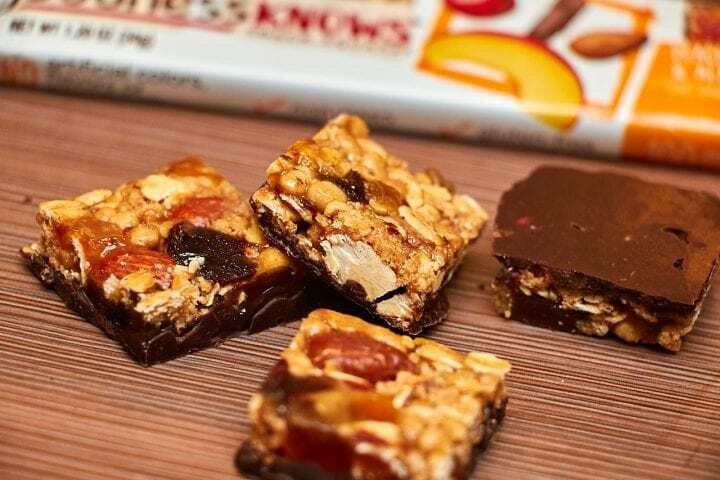 I love goodnessKNOWS snack bars and I also love that the company wants to encourage & celebrate every attempt on the path to being your best– no matter how small or imperfect. 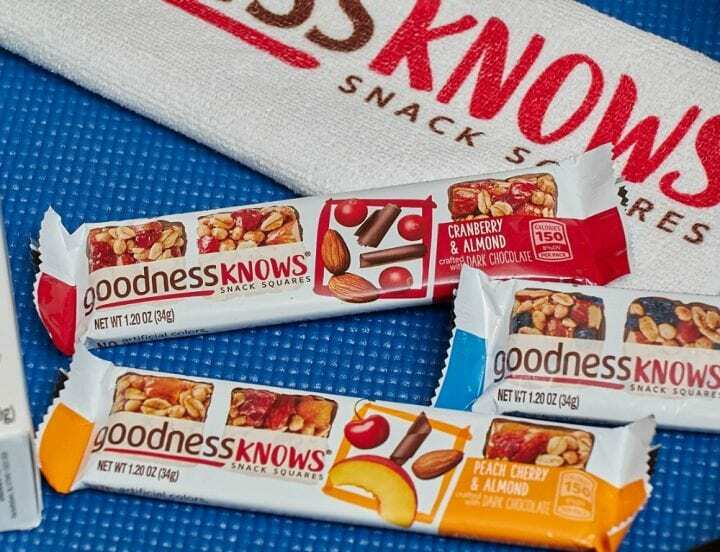 goodnessKNOWS wants to inspire people to take small steps to get closer to their goals. It is sometimes scary to try something new but they recognize that it is this pursuit that is a key part of the journey to learning, growing and improving. Packed full of juicy apples, tasty and dark chocolate, this one also ties as my favorite. Obviously I love this one if I created a recipe inspired by it. The blueberries burst with flavor and the crunchy almonds pair perfectly with the dark chocolate. This is my husband's favorite flavor. The cranberries are flavorful and taste great with dark chocolate. This is a family favorite. All three kids love it. The berries are really good and full of flavor. I would love to see this one with peanuts, too. My mother absolutely loves this snack bar. She said that the peaches taste sweet and since almonds are her favorite nut, she could eat these bars every day. My youngest says this snack bar tastes exactly like the day we went strawberry picking. She loves strawberries and loves this bar so much that no one else in the house has even tried this flavor because we leave them all for her. She insists on it. To celebrate International Yoga Day, goodnessKNOWS is hosting their first ever Facebook Live event where they will live stream three segments with yoga and mindful snacking. You can join in on the fun! Join the International Yoga Day Livestream event by visiting the goodnessKNOWS Facebook Page as they livestream the Try a Little Yoga event on June 21 at 3 p.m. ET. Missed the Facebook Live event? See it here. 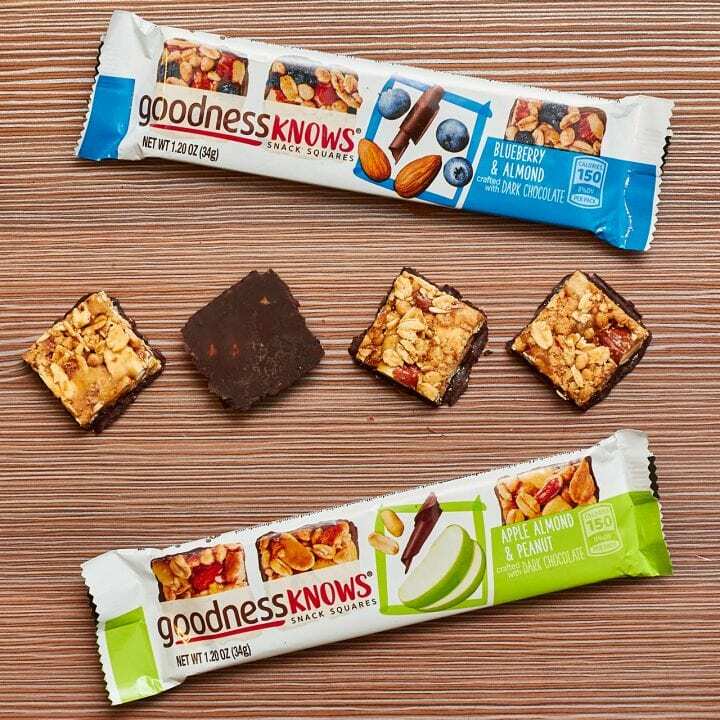 Visit here to find where you can purchase goodnessknows near you. That looks amazing. And it’s so healthy, too! I love all of those yummy fruits! That is one powerhouse smoothie bowl! There’s so much anitoxidant health benefit there. Whole lot of goodness in there! I will most definitely try to make this because it’s looking very tempting for a summer treat! I love the idea of a smoothie bowl! I love it! My son made us buy dragon fruit in Chinatown, and it was delicious! So glad he has an adventurous palate. Thanks for this recipe! I need to check out those goodnessKnows squares. I like to keep things like that in my purse to snack on. That looks so good! I love smoothie bowls especially during busy mornings. They’re easy to make and they’re packed with a lot of benefits! I’m definitely keeping this recipe! I will have to check this out! I am a big yoga fan, and goodnessKnow has great snacks. This smoothie bowl looks so incredible! I love pomegranate and dragon fruit. So delicious! This looks so delicious! 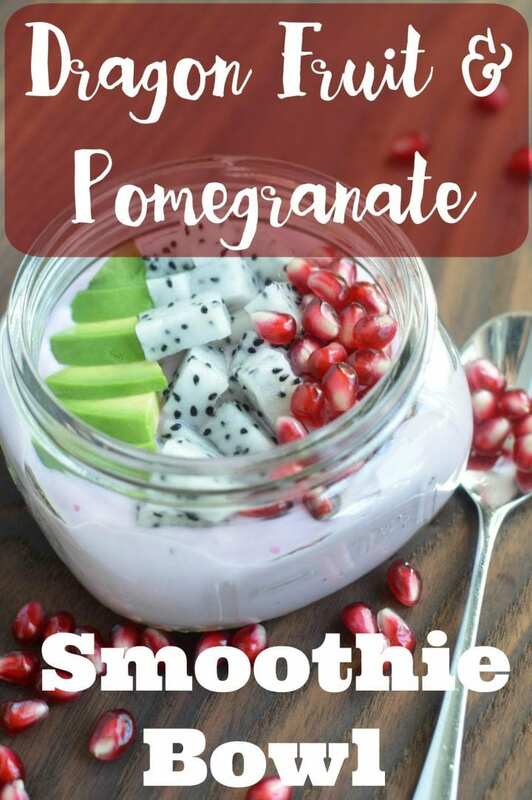 I love pomegranate and I’m definitely trying this! I need more healthy snack items in my bag. We are busy all summer so things that can be nibbled quickly while having fun are the best. Those bars would be perfect. That smoothie bowl is EVERYTHING! 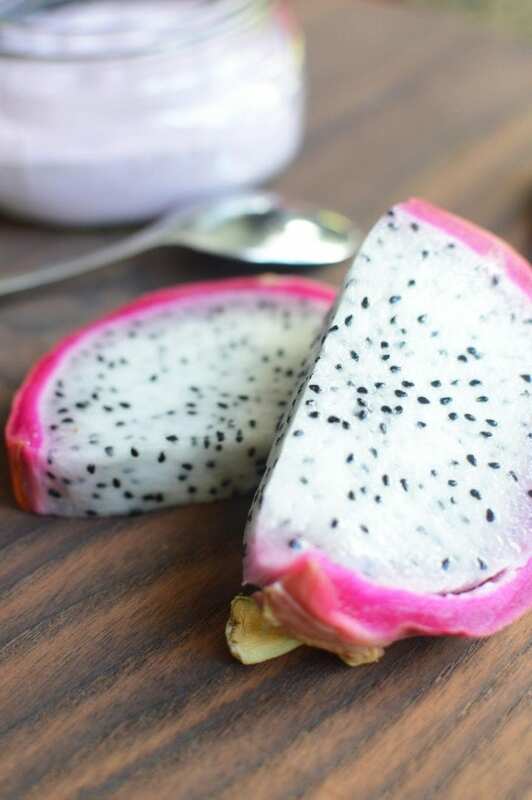 It’s hard for us to find dragonfruit around here but you better belive when I can find it I am getting some and making THIS! I keep Goodness Knows bars in my purse and golf bag! My husband works for the company that makes these although they do not make them in HIS plant. They are really delicious and HEALTHY! This looks so tasty! 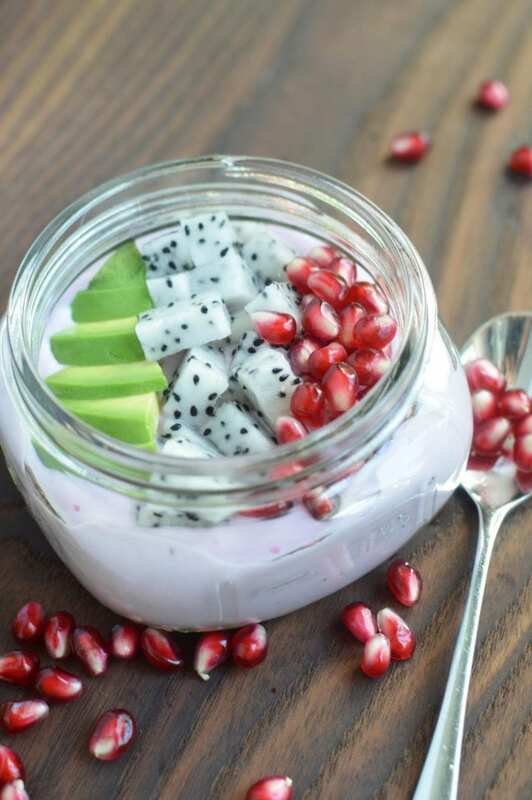 I haven’t tried mixing dragon fruit into many things, but this looks really good! These are some of my favorite fruits wrapped into one! Smoothie bowls are my jam right now. Dragon fruit is still new to me. I think it’s just the neatest thing. I had no idea there was a yoga day. I love Goodness Knows! They’re delicious and I keep them around for snacks. The International Yoga Day Livestream event sounds amazing. I am glad I can check it out on the facebook page. 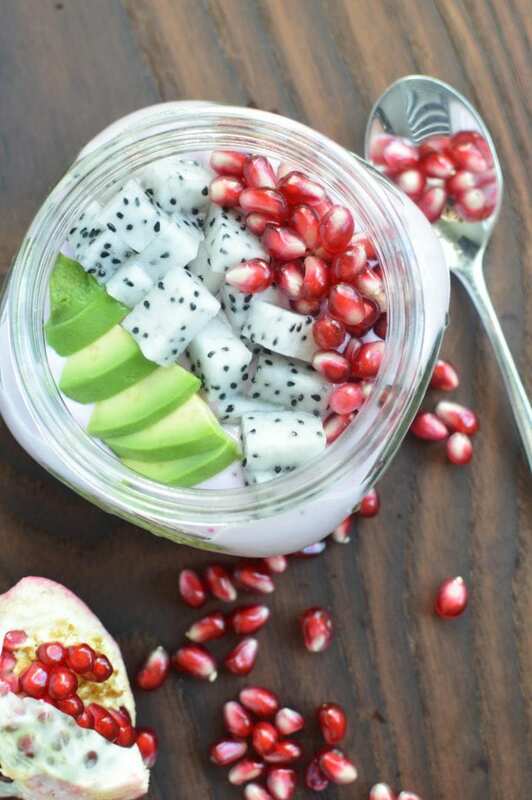 The dragon fruit and pomegranate yogurt smoothie bowl is a great breakfast or snack idea along with the goodnessKNOWS snack bars. Thanks for sharing the site and the recipe. I’ve never bought dragon fruit, but it always looks so pretty! This looks like a really tastey, vibrant dish. I could use some of my vegan yogurt…. In my 44 years, I have never tried dragon fruit yet. I would love to give it a try but I never seen it from the store here. 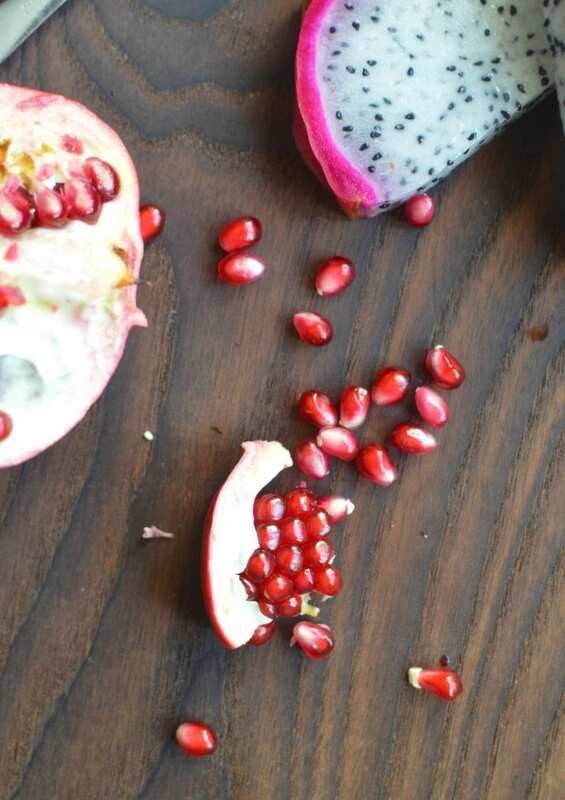 I have to admit that I am not all that familiar with dragonfruit, but I love pomegranate. I would love to try this. I am betting that it is very tasty. I don’t think that I have ever seen dragonfruit in the store. It is time for me to take a trip to central market. I really want to try it. I will also pick up some of the goodness knows bars to keep in my purse. I love having a snack available in case I get delayed getting lunch or something. Keeping a snack handy prevents a drive thru run. 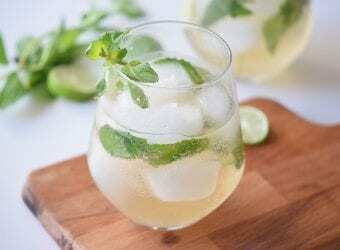 Deliciously interesting recipe to try! Dragonfruit does not have much of a taste, and is kiwi-like in texture (I think). 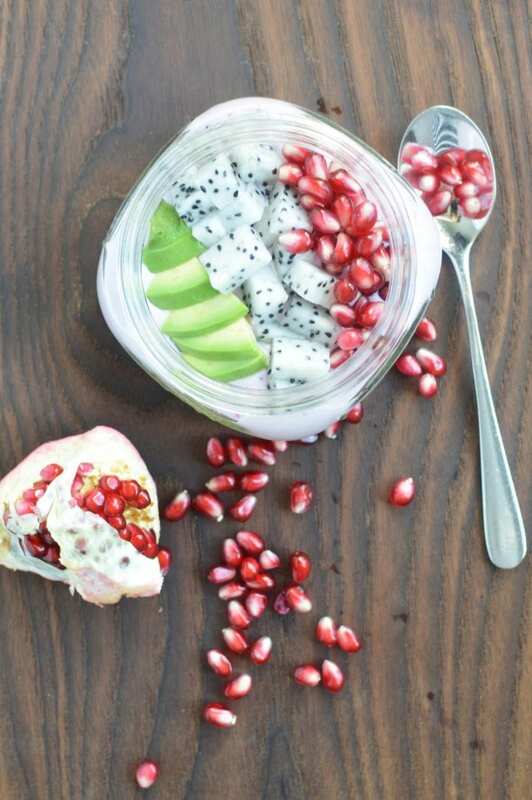 Anyway, I think the pomegranate would give this a smoothie bowl a good flavor. This looks so good! I’ve never tried dragon fruit before, I’ve seen it in the store, but never gave it much notice. Oh, I want to try this! So delicious! I remember the very first time I tried a dragon fruit! Hubby insisted I give it a try, and I was reluctant, but I ended up loving it. This recipe would be an excellent snack idea. Wow. I really love this smoothie recipe and it really looks delicious and this will be perfect for my breakfast. I can’t wait to try this. So pretty! I have never had Dragonfruit before. OH, fruit and yogurt ,that is perfect !! It is so healthy !! 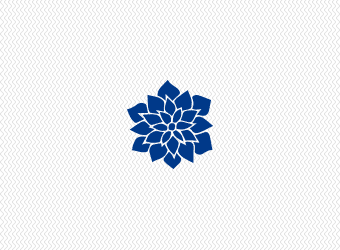 I love it !! Thanks for sharing !! This looks and sound terrific. To be honest I am not sure if I have ever had dragon fruit. Your’e lucky you live somewhere where tropical things are available, here they arent are so high priced it just isnt economical. I would love to tryone though and am going to look for them. This is a fun way to make yogurt more exciting.